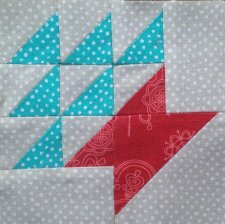 "Hi, my name is Paula, and I’m obsessed with Bitty Blocks. Oh my GOSH. Have you heard? QM has embarked on a Bitty Block adventure and I, for one, am ridiculously obsessed. 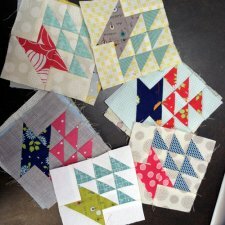 We are so excited about this new free quilt blocks project! "In case you haven’t heard, here’s how it will work. On the first Monday of each month during 2015, we’ll present you with a Bitty Block. Most will be 3″ or 4″ square and all will be easy to make." What do you think of this BOM?